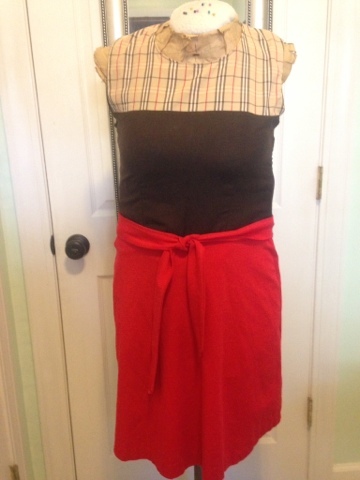 I combined 2 shirts and 1 dress from my stash to make a color blocked dress. 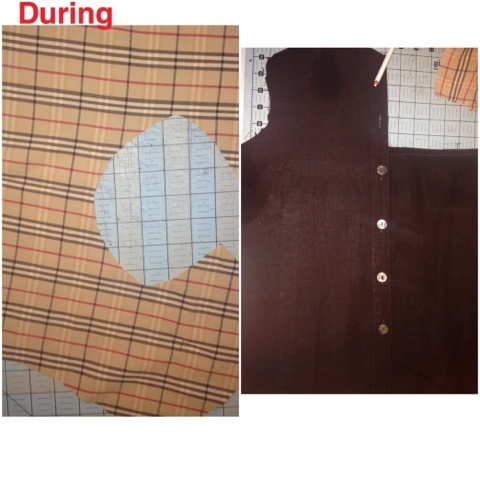 I drafted a continous front yoke using the back of the plaid shirt. 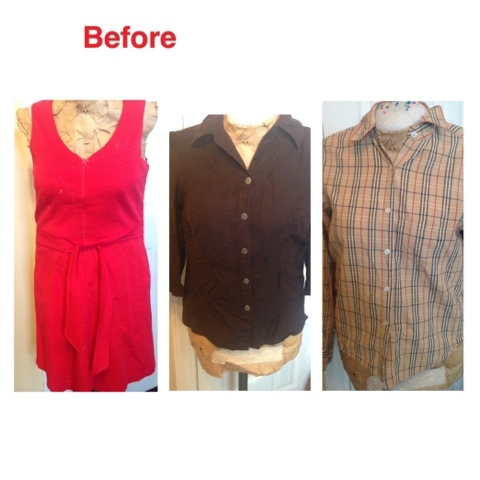 The front of the brown shirt became the back. 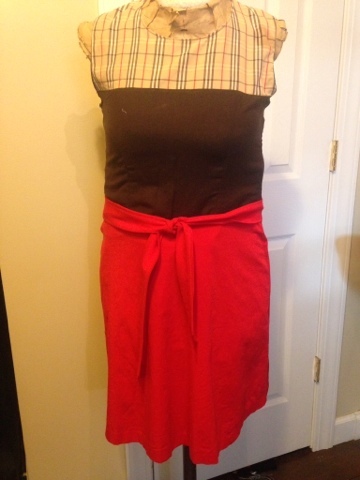 I really like how the plaid ties the red and black together! Nice job! I love the placement of the colors.